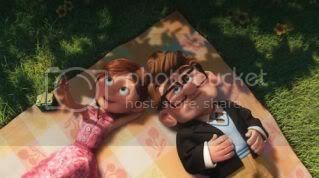 I have quite the soft spot for animated films. Like most of my generation, I grew up with Disney’s yearly efforts. The serene carpet rides of Aladdin were one of my earliest theater going memories. Beauty and the Beast would get weekly, almost daily, viewings in its VHS form. Their rich hand-drawn appeal and musical numbers are etched into my memory. I would gather with my family and appreciate the simple story-telling. These early film experiences exposed me to how viscerally engaging a film can be. I doubt I was the only one who shed a tear when Simba lifted his dead father’s paw in The Lion King or feel goosebumps when the Beast battled with Gaston atop his castle in Beauty and the Beast. Eventually the American animated crown would be bestowed upon Pixar. Their 1995 feature debut, Toy Story, would be one of the most revolutionary films of the modern era and usher a change in the way animated films would be made. They eventually reached a renaissance period in the late aughts, with films like Ratatouille, WALL-E, Up, and Toy Story 3 engaging both younger and older audiences. Unfortunately, their latest effort in Cars 2 showed the first signs of fatigue from the studio. DreamWorks is a studio that has played second fiddle to Pixar’s brand name. After some commercial successes and the creation of the profitable Shrek franchise, the studio seems to be more concentrated in garnering critical favor than ever before. They haven’t quite achieved a masterpiece work as of yet, though 2010’s How to Train Your Dragon was their best effort to date. Meanwhile, Japan’s Studio Ghibili releases their animated films on a quasi- biannual basis. Typically involving Hayao Miyazaki, Studio Ghbili is perhaps the most consistent animation studio going at the moment. Unfortunately, the case tends to be that their films simply don’t get the wide-spread American release that they deserve. Given the rather dismal state of animation for 2011, I thought it appropriate to look at the past five years for a brighter time. Maybe I’m being presumptuous, but this week’s animated offering of Happy Feet 2 is unlikely going to be the film that reignites my affinity for animation. Wallace and Gromit run a bakery and get involved in a murder mystery. It’s a simple premise with absolutely enchanting results. 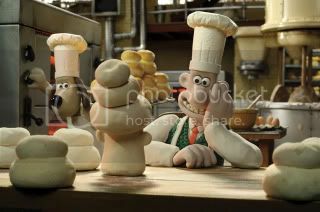 What Nick Park achieves in all of his animated endeavors, whether it is in the Wallace and Gromit franchise or in Chicken Run, is a rich sense of developing characters. Through simple actions, whether it is Gromit furrowing his brow or Wallace singing along to a commercial jingle, you get a deep-rooted sense of personality and spirit. The fact that Park can achieve this within a 30-minute period is almost as impressive as the absolutely painstaking patience it must take to achieve his stunning stop-motion animation. One of the truly unsung filmmakers of recent years has to be Nina Paley. Her debut 82-minute feature was largely made on her own, as she edited, produced, and animated the whole endeavor. She acutely takes a story from the Ramayana, focusing on the lovelorn relationship between Sita and Rama, and uses the epic to frame her own failed relationship. It’s a collage of visual design, as various stages of the narrative are drawn and animated differently. 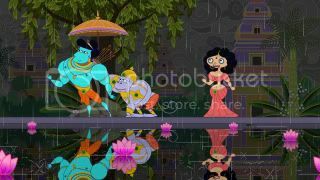 Sita Sings the Blues operates as both a rich feminist critique on marriage and relationships as well as an impressive exhibition of how various animation methods can be bridged together in an effective manner. Accusations that Ponyo is minor Miyazaki have struck me as a bit odd. 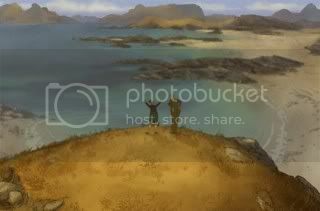 But then again, I’ve gravitated toward Miyazaki’s more quiet and restrained efforts. 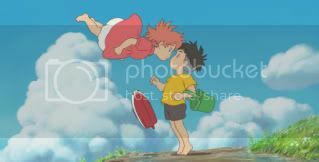 The childish exuberance that Ponyo dives into is of innocence and patient control. What Miyazaki achieves with Ponyo is an everlasting sense of wonder and spectacle, as his vibrant animated sequences are grounded in a close relationship between a child and princess. Akin to Disney’s The Little Mermaid, Ponyo retells that story with children, effectively examining the threshold between childhood and adolescence. Mostly calm in tone, the film ruminates over the magic of childhood, with the astute awareness that it doesn’t last forever. Wes Anderson’s first foray into animation proved how incredibly versatile that director can be. In a new realm of filmmaking, the director managed to maintain his stylistic integrity and inclinations. One could have easily been able to tell that they were watching a Wes Anderson film simply based on the droll dialogue, visually sharp set pieces, and incredible art direction. It’s the only kind of film that Anderson makes, and it’s the sort of film that feels so fresh within an animated context. 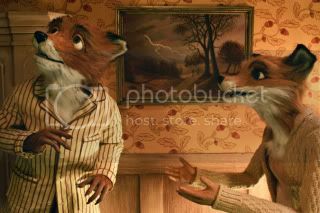 Featuring George Clooney, Meryl Streep, Billy Murray, and Jason Schwartzman, Fantastic Mr. Fox examines youthful indiscretion with a wink – it’s simply the sort of film that really has a good time with itself, and as a result, you do too. I saw Persepolis at a very crucial point in my life, wherein I was deliberating my own goals while delving into the richness that cinema could provide. What Persepolis accomplishes better than virtually any modern animated film I’ve seen is develop a female character on both a universal and abstract terms. 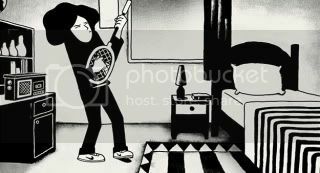 Initially taking place in Tehran during the late 70s, Persepolis is about a young girl named Marjane. The film follows her ascent into adolescence and adulthood, wherein she encounters war, death, heartache, and love. While its setting can be difficult to comprehend for those not living in the period, Vincent Paronnaud and Marjane Satrapi, paints the world in broad strokes that effectively makes it universal. Very much a coming-of-age story, Persepolis’ uniquely feminist perspective is a rarity in live-action films – it’s virtually nonexistent in the realm of animation. I tend to gravitate toward films that revolve around the dichotomy of love and loneliness (yikes, what does that say about me!). WALL-E explores that dichotomy so sharply, while juggling concepts of environmentalism and the nostalgic value of media, that it’s a wonder that the film works at all. And while the Pixar crew fumbles a bit in its middle section, there is a persistent sense honesty to the proceedings. With a dash of Charlie Chaplin and 2001: A Space Odyssey, WALL-E marries its cosmic setting with something entirely human – incredible given that it’s lead character is a mute robot. 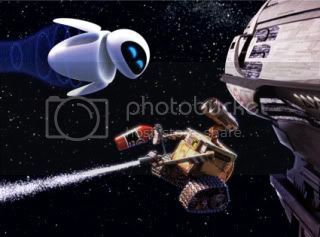 Along with such an incredibly rich visual palette to work with, WALL-E marked a significant turning point in how mainstream animated films have bridged a gap between what is exclusive for children and what has adult appeal. For a film that explores a world of suicides, mental disorders, and bullying, Mary and Max might be the most optimistic film on this list. It’s a film that follows the correspondence between a young girl named Mary living in the suburbs of Melbourne and a middle-aged New Yorker with Asperger's Syndrome named Max. 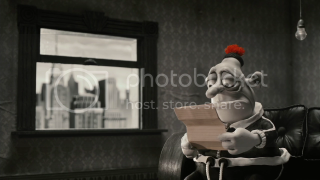 Mary and Max is one of the most remarkable examinations of friendship that I’ve ever seen. Max sends a letter out of sheer loneliness, and Mary responds for the same reason. Their correspondence spans twenty years, where Mary grows into womanhood while Max’s health wanes. The two know each other based entirely on their correspondence, where they find a true human connection. The world that director Adam Elliot paints makes use of black, white, and multiple shades of gray, but within this gloom, the innocence and fragility of Mary and Max’s friendship shines bright. As we live in Pixar’s age of computer animation, there’s a novelty to watching something as beautifully illustrated as Sylvain Chomet’s sophomore effort, The Illusionist. It’s a film comprised of visual sights, wherein characters don’t utter words so much as merely speak in garbled terms. Based on an unproduced script from Jacques Tati, The Illusionist addresses a time where, as children, we embrace a certain level of mysticism in the world. Concepts of a Tooth Fairy, Santa Claus, etc. were embraced at one time or another in people’s lives. But what Chomet beautifully encapsulates in The Illusionist is that there is a line we cross when we realize the reality of the situation, and in so, we’re stripped of a little bit of wonder. The opening sequence to Up has the distinction of being one of those moments where just about everyone begins to shed tears. It’s a sequence that details a loving relationship between husband and wife. Simply thinking about it now has me trying to fight back the tears. It’s majestic and a true wonder in contemporary animation. With Michael Giacchino’s wonderfully delicate score underlining the beauty of the sequence, I recall successfully restraining myself from weeping buckets. That is until a certain other scene toward the beginning of the final act, that doesn’t get quite the attention that the opening sequence gets. As our lead character Carl (Ed Asner) opens a scrapbook that belonged to his deceased wife, screenwriters and directors Pete Docter and Bob Peterson effectively level their audience with a genuine display of love and emotion. Up doesn’t just tell a story about love and friendship, it comes close to viscerally engaging you with the concepts. There are routines we all experience. We don’t talk much about them, but they exist and we deal with them in our ways. In Everything Will Be Ok, our lead character contends with those routines, observing with an astute eye the trivial social situations that we get ourselves involved into. 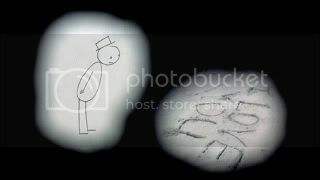 The film is clever in its observations, but director Don Hertzfeldt extends the meaning behind these situations by commanding a sense of realism to the affair. There’s something so inherently palpable about the way the stick-figure character named Bill moves through his daily routine. Upon Bill’s mental breakdown, you get a greater sense of those around Bill. His family comes to his aid, though their intervention is a mixed blessing. In the film’s most touching moment, we see Bill come to grips with his disorder as he questions the help he’s receiving from the one person who seems to care from Bill. It’s a painstakingly true moment, which is all the more impressive given the limitations of the simple animation – the stick figures in Everything Will Be Ok are more expressive than most contemporary mainstream actors. There’s a subtle sadness to the film’s title that comes full circle upon the film’s conclusion. Perhaps we all venture back into the world of the mundane. But amidst the sadness, Bill returns to his life, knowing more about himself, and in that, there’s a glimmering sense of hopefulness.